This series of 6" bench planer with either 1600 W or 1800 W is a variable speed. This series of 6" bench planer with either 1600 W or 1800 W is a variable speed. The back fence & blade guard is fully adjusted to feed all wood planed. 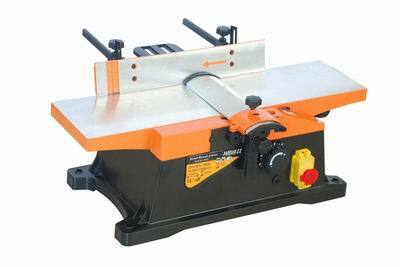 This quality bench planer made in China is affordable and ideal for DIY or professional woodworker.